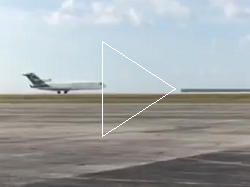 The Boeing 727 made a nosegear-up landing at Guam Airport following in inflight meachnical fault. All three cremembers remained unhurt. 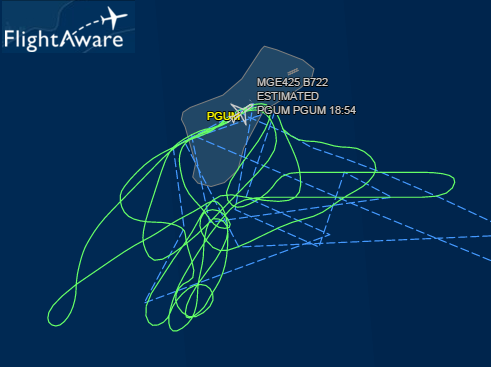 Asia Pacific flight MGE 425 was on a training flight, taking-off from Guam Airport at 13:08L. 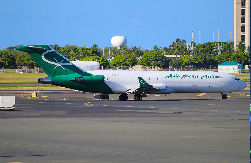 Soon after take-off the pilots received indication about a fault in the nosegear system, discontinued further climb and returned to the airport of origin. After a low-pass over Guam Airport to allow a visual inspection from the ground, the pilots elected to carry out a touch-and-go maneuvre hoping the concussion would release the blockage, but to no avail. The 727 then entered holding patterns to burn off excess fuel before an emergency landing was carried out at 16:16L on runway 06R(ight). 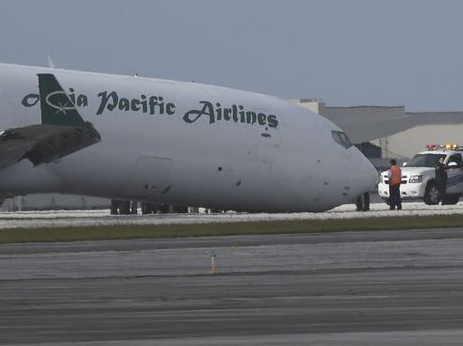 On landing the pilots held the nose up as long as possible after touchdown until the speed decayed further and the nose section contacted the runway surface. 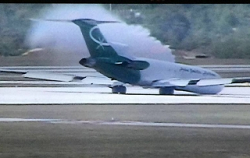 The Boeing 727 came to a safe stop on the runway and none of the three crewmembers was hurt. Weather was not a factor in the incident.